Today, let’s just talk about Superman. You mean I’m not going to post about BOX or ending human trafficking? That’s right. It’s all about Superman right now. You might be thinking, uh, dude, that’s totally random. Well, I think, uh, dude, it’s totally not. I think about Superman quite a bit. I’m not joking. To me, he is not merely a comic book superhero or television/film icon. He represents a philosophical conundrum to ponder. Sure, it would be cool to possess all of his myriad of super powers: flight, nigh invincibility, heat vision, super speed, etc. However, this isn’t what intrigues me about this character. I’ll get back to this. – Superman is one-dimensional and not very complex. Not much was expounded on this point. – Batman is a mere mortal who must rely on his wits and gadgets. Where does he get those wonderful toys? – Batman is psychologically complex. He’s a much darker and interesting character. – Batman is more relatable at a human level. Now, I’ve heard all of these fanboy arguments before and as I was listening to this guy go on and on, I realized no one was actually presenting a rebuttal and talking about Superman. I didn’t get into the mix of the conversation, but I did think about what he said about Superman being one-dimensional. I could see his point. Superman is this nigh invulnerable alien who hides amongst the humans with the flimsiest of secret identities. He has a myriad of deus ex machina-esque super powers at his disposal. Most of the villains he fights have to be written to such extremes to be able to match his power level. There are exceptions. Namely, Lex Luthor. And it’s Lex Luthor who perfectly unveils how complex Superman actually is in All-Star Superman and gets to the source of what intrigues me about the Man of Steel. It is this simple one frame panel that encapsulates everything that makes Superman incredibly complex at a higher consciousness level than any other comic book character ever written. Superman, in his infinite wisdom, sees us humans for the potential that we possess and the interconnected and interdependent state that we so casually dismiss on a daily basis. He fights to show us that we can transcend the muddle of our iniquities and strive to become greater than we are now. He carries this burden without question and lives a life of pure integrity and honor. He is the reverse mirror to us; a paragon of virtue. And it is because of this that he is also a tragic figure because we fail him at an existential level; his adopted family. He could easily turn his powers against us and rule the world. Yet, he continues to fight for our very souls and serve as a shining example of humility. 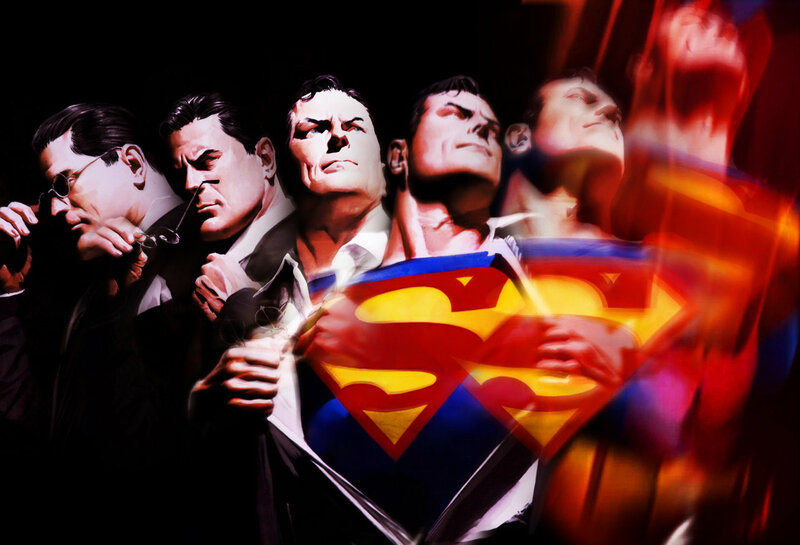 This is the complex core of Superman that gets lost sometimes in the modern renditions of him.